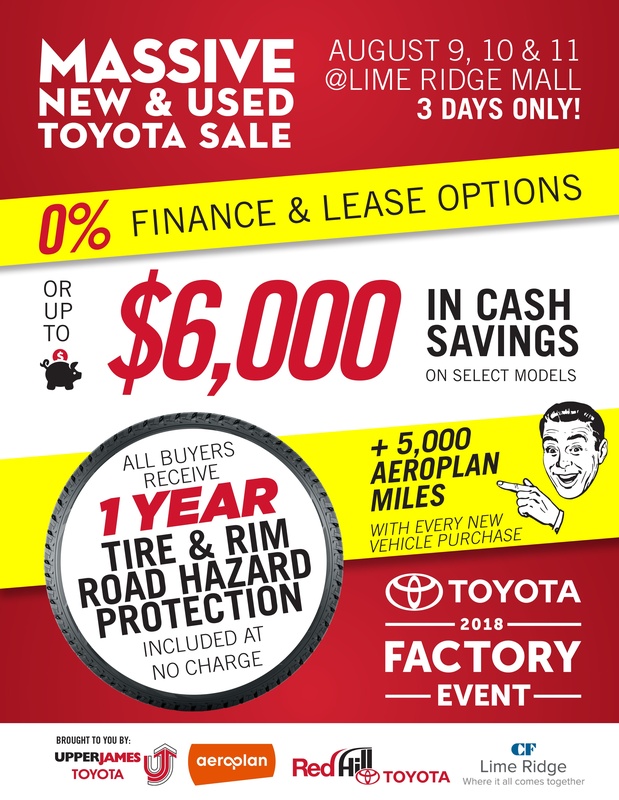 TAKE ADVANTAGE OF UPPER JAMES TOYOTA’S FACTORY EVENT DEALS ON NOW. View our Camry Inventory Here. Book your test drive today and get the best savings Toyota has to offer this month on your favourite vehicles in our line up.